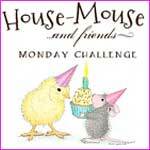 please jump to the challenge blog. This is card is simple! coloured it with my Prismacolor pencils. The card front is embossed with a folder from Cuttlebug. Some bling and a red ribbon with 'Merry Christmas'. red Stickles on the ornaments. My personal stamp here, as always. Top Tip Tuesday- #79 Sparkles Galore! You kept it simple, yet it is still wonderful! Thanks for joining us at CSAYL this week!!! 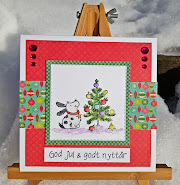 Fabulous CAS card Dorte....that snowman is so cute!! Great card hunny! just perfect for Keep it simple! and great you could play along with us at Top Tip Tuesday this time too!! Beautiful card, the image is gorgeous and that embossing folder is fantastic. Lovely card, love the colour. Dejligt kort og fin inspiration, nu hvor jeg er begyndt at tænke på jul....Det plejer at begynde i sommerferien. haha. Godt at være i god tid. Det har jeg det godt med. Også skønt kort med musen under parasollen i forrige indlæg. Sjov ide. Your card it great. Love Mr. Snowman in his window. Fab card. I've got that stamp and don't use it enough, which is a shame as it's lovely.